For Charlie Gilmore it's all about place--those ideal sites where good earth, favorable climate and savvy growers come together to create a wine he can call Fetzer.As Winemaker, Charlie was given a comfortable chair and a new computer, but he quickly rebelled against office life. You'll find him in the vineyards every chance he gets, including 4 a.m. mornings and long harvest nights. "I never wanted to be in the service industry, never wanted to be a lawyer or anything like that," he says. "I always wanted to do something tactile. To make something you could hold in your hand and appreciate." A Sacramento native, Charlie earned his Viticulture and Enology degree at UC Davis in 2000. Internships took him to Napa, Australia and the south of France before he began his distinguished career at some of the most respected wineries in Northern California. 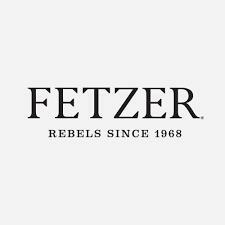 His winemaking philosophy is to "always exceed expectations" and it has borne fruit at Fetzer, where our wines have won more than 200 awards in recent years. Fetzer's commitment to earth-friendly practices already comes naturally to Charlie. "The sustainable message was something I knew and admired before I took the job. It makes me even more proud to work here." "This Pinot Noir is surprisingly smooth with a dark rich color and welcome collection of flavors. On the nose you will be greeted with aromas of pomegranate. Tasting delivers a smooth mouth-feel and layers of rich, ripe cherries, raspberries, blueberries and strawberries with just a touch of oak. "Our Riesling is delicate, yet full of fruit forwardflavors and aromas. There are aromas of dried fruit, lemon, lavender, jasmine and rose petal. In the mouth, the crisp acidity balances this well structured wine with flavors of peaches, pineapple and pear that lead to a smooth rich, mellow finish." Wine Spectator 85"Offers smooth-textured currant, cranberry, cedar and spice notes that are easy-drinking, ending with a tobacco edge. Drink now." "Fresh, floral and fleshy, with a citrus and grapefruit edge to the green apple flavors. Drink now." ~J.L.